US Secretary tells Saudi Crown Prince the US will hold accountable all involved in the killing of Jamal Khashoggi. US Secretary of State Mike Pompeo told Saudi Crown Prince Mohammed Bin Salman on Sunday that the US will hold accountable all involved in the killing of Saudi journalist Jamal Khashoggi, AFP reported. Pompeo and the Saudi crown prince held a wide-ranging telephone call in which the conflict in Yemen was also discussed, the news agency said. Khashoggi, a US resident, was murdered in Saudi Arabia's consulate in Istanbul on October 2. While the crown prince has been accused of orchestrating the killing, Saudi authorities say Khashoggi was killed in a “rogue” operation and have denied being responsible for his murder. 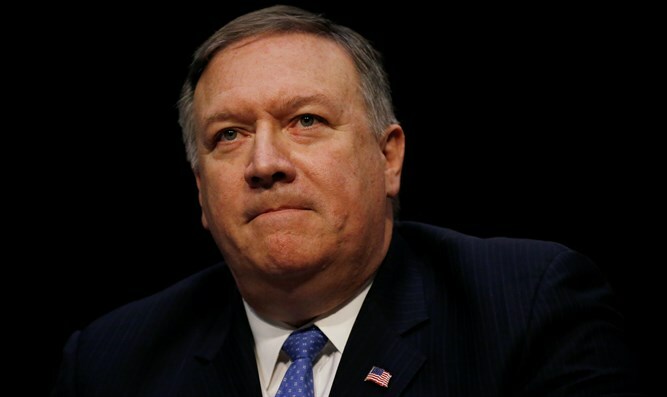 Pompeo recently said it would take a "handful more weeks" before the United States has enough evidence to impose sanctions in response to the killing of Khashoggi. He stressed that Trump had made it clear Washington would respond to the killing. At the same time, Pompeo and President Donald Trump, who derided the killing as "one of the worst cover-ups" in history, have also both emphasized America's important commercial, strategic and national security relationships with the petro-state. Khashoggi, who wrote for the Washington Post, was critical of Prince Mohammed and the country's intervention in Yemen, a conflict which also came up during the call, said Nauert. A Saudi-led coalition has been fighting the Iranian-backed Houthi rebels in Yemen, a highly controversial intervention to bolster President Abedrabbo Mansour Hadi's government. Nearly 10,000 people have been killed in Yemen and the country now stands at the brink of famine.